. A review of changes in the timing of migration and breeding. 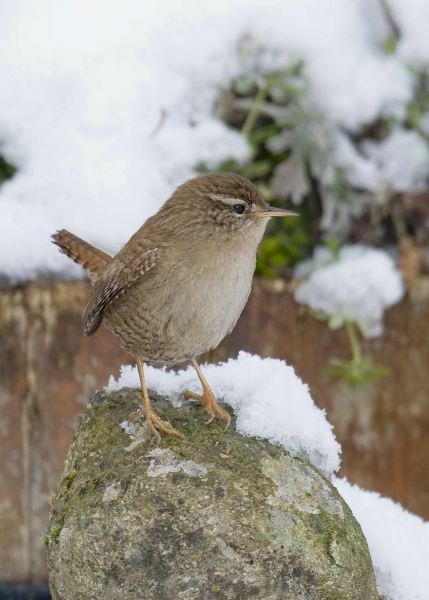 The evidence for climate change having caused changes to bird populations. Potential future impacts of climate change on bird populations. Climate change is affecting our birdlife. Changes in summer and winter conditions may differentially affect breeding success and mortality, leading to changes in abundance. BTO nest record, ringing and survey data are at the heart of being able to understand these changes, and we are currently working on a range of projects attempting to do this. It is only through understanding such changes that we are able to best make predictions about the future, and then consider what can be done by way of adaptation in order to counteract any loss. Research on golden plovers provides an example of how these different strands may fit together. Crossing barriers: does flexibility provide resilience in a changing world? Migratory barriers, such as the Sahara Desert, are thought to present a challenge to small migrant birds like Whinchat, but how much do we really know about the strategies these birds use when crossing barriers and can these strategies provide resilience to future changes in barrier width that might arise from changes in climate and land-use? Caterpillars and caterpillar-eating birds: out of synch in space and time? The increasing temperatures associated with a changing climate may disrupt ecological systems, including by affecting the timing of key events. If events within different trophic levels are affected in different ways then this can lead to what is known as trophic mismatch. But what is the evidence for trophic mismatch, and are there spatial or temporal patterns within the UK that might point to mismatch as a driver of regional declines in key insect-eating birds? A new study, supported by EDF Energy and BTO, has looked into soil invertebrate communities in the UK using large-scale citizen science data from schools.